It's not called eHay, somehow. Fresquez’s solution was to create, along with his tech-whiz brother-in-law, a website that would allow hay producers to list their wares and buyers to find them. His site is called HayFinders.com, and in the single month it’s been online, it’s already leapt from a single lister – Fresquez himself – to 96 subscribers, across several Southwestern states. 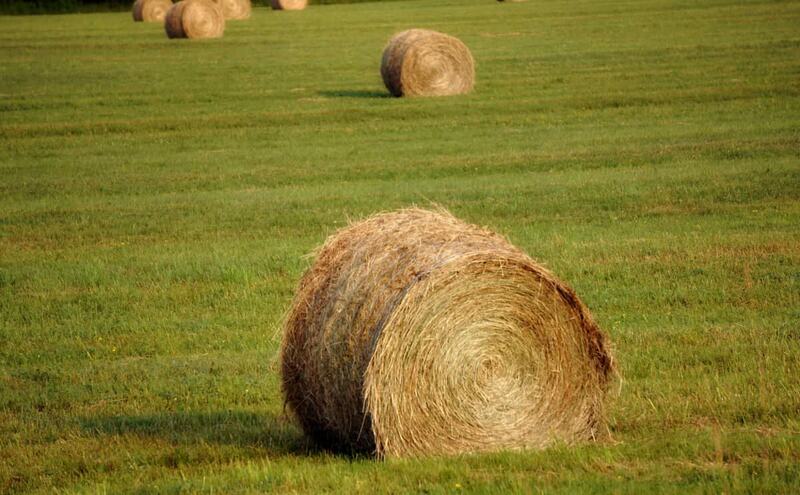 The issue with hay is that it’s a product that needs to be replenished constantly. Many who own horses, one of the major devourers of hay, have only a limited amount of storage, and so have to buy frequently. But due to the volatility of the product, having a single go-to hay guy won’t always cut it, and, says Fresquez, those who need hay were often required to ask around over the phone, look up folks in phone books, and drive around looking for signs in yards attesting that hay is for sale. Not a very efficient way to do things! HayFinders charges $12.99 per month for hay producers to list, and gives them the ability to give all kinds of info about themselves. They list their location, their specific types of hay, how much they currently have, their prices, and more. The site even lets buyers filter by both location and product, so if you’re an Arizonan who needs alfalfa, you won’t be beset by a grass-hay seller in Texas. The site itself is pretty bare-bones, but that’s actually by design. Fresquez says that in rural areas, the cell phone service can sometimes be spotty, and since farmers are often both buying and selling hay from their phones, it was a conscious choice to make the site as lean and fast-loading as possible. “You don’t want to be waiting around for the site to load,” he says. HayFinders is one of those strange corners of agriculture where it really seems like a service like this should already exist – that the USDA or some big private company should have already figured this out. But they haven’t, and Fresquez is looking forward to expanding even further.